Hi everyone! 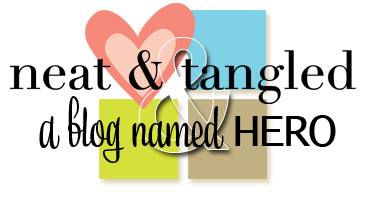 This week A Blog Named Hero has teamed up with Neat & Tangled. I was so excited for this collaboration. I absolutely adore Danielle, the owner of Neat & Tangled. She used to be a team member of ours on A Blog Named Hero and then she set off to open her own stamp line...and I am so happy she did. She makes high quality, fun stamps! I absolutely adore these stamps. I used the skinny strip and bent it into the shape of half a heart. I used the Neat & Tangled Kindness Matters stamps for the sentiment of both but added some Hero Arts too. 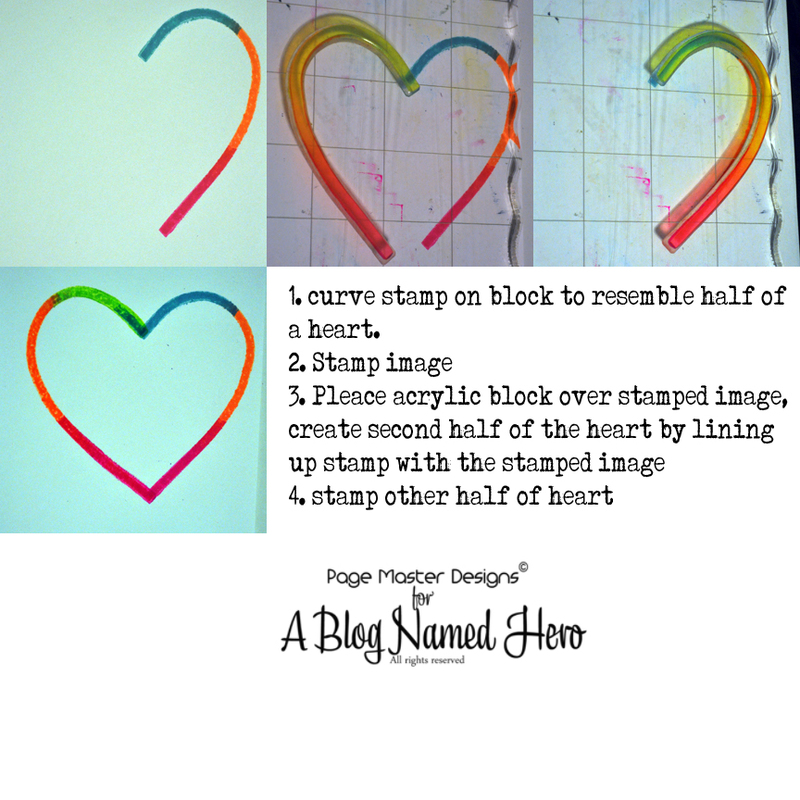 Did you know that Simon Says Stamps sells Neat & Tangled stamps too? I linked you up below! What a great idea! I'm such a fan of hearts, but never ever would have thought of doing that!! PS: I also had to start manually approved comments because of all the RUDE spammers. I would NEVER use WORD VERIFICATION, but still am "ticked" they forced me into this!! Am nuts about your neon heart... thanks for sharing the technique. What a cool way to manipulate the stamp! Great use of stamps! 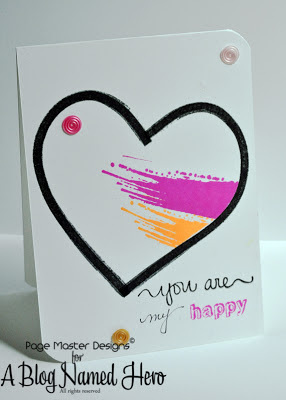 Love your heart cards! 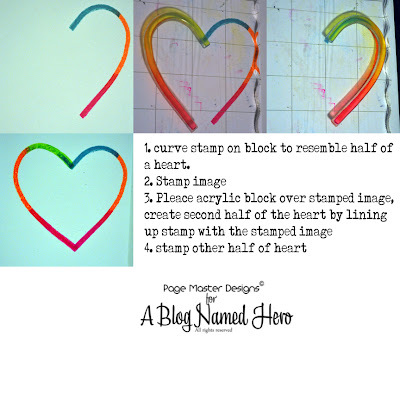 Appreciate the mini tutorail on how to stamp the heart. You make it look & sound so easy!